New York: Farrar, Straus and Giroux, 2012. 245 pp. 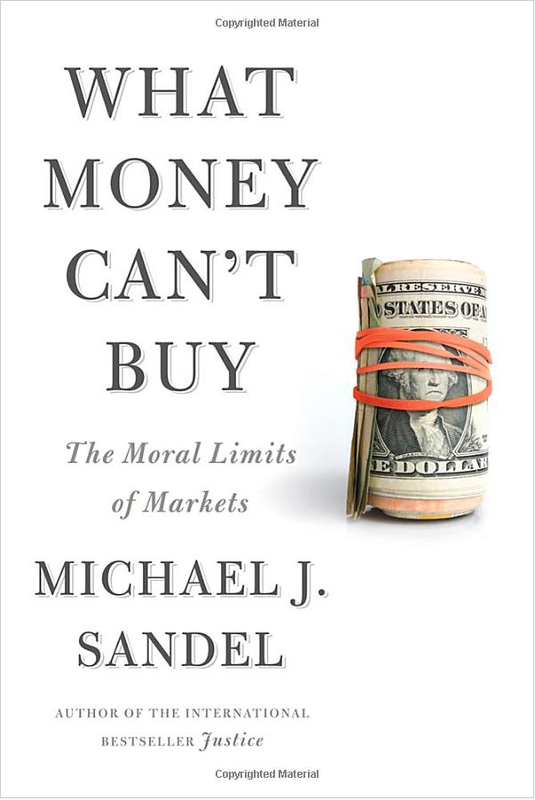 Michael J. Sandel is the Ann T. and Robert M. Bass Professor of Government at Harvard University. He is author or editor of seven other books including Justice. He frequently appears on PBS and BBC television. It used to be that standing in line — or in a queue depending on what part of the world you are in — was a sign of a civilized society. Most people would have found it somehow inappropriate to pay to move to the front rather than “wait your turn.” No longer. In fact, queue jumping has become institutionalized. By paying an extra $10 you can move to the front of the boarding line on Southwest Airlines. You can buy a pass on most airlines to move to the front of the security line at the airport. You apparently wait your turn only if you don’t have the means to move up. Can all human action be understood in the image of a market? … To a remarkable degree, the last few decades have witnessed the remaking of social relations in the image of market relations. One measure of this transformation is the growing use of monetary incentives to solve social problems (p. 31). The more markets extend their reach into noneconomic spheres of life, the more entangled they become with moral questions …. So when market reasoning travels beyond the domain of material goods, it must ‘traffic in morality,’ unless it wants blindly to maximize social utility without regard for the moral worth of the preferences it satisfies (pp. 88, 89). Much of the book is taken up with a diversity of illustrations around the thesis. Parents pay kids to read, or get good grades. Immigrants pay for priority to enter the country. Governments pay cities to store nuclear waste. Advertisers pay to put their name in and on stadiums around the country. There is even a secondary market on life insurance, where people pay for the opportunity to cash in on someone else’s death (and hope it happens sooner?). He offers no suggestions or ideas for stemming the tide, but simply raises the questions. Perhaps that is the first step that is needed, and he does this well. But it seemed like he simply ran out of steam, not knowing where to go next. I recommend this book to start a conversation, or even a movement. A good read. The beauty of the internet is that it gives you access to millions of people all over the globe that you could potentially do business with.